Christmas carols, colorful packages, fun times with family and friends. 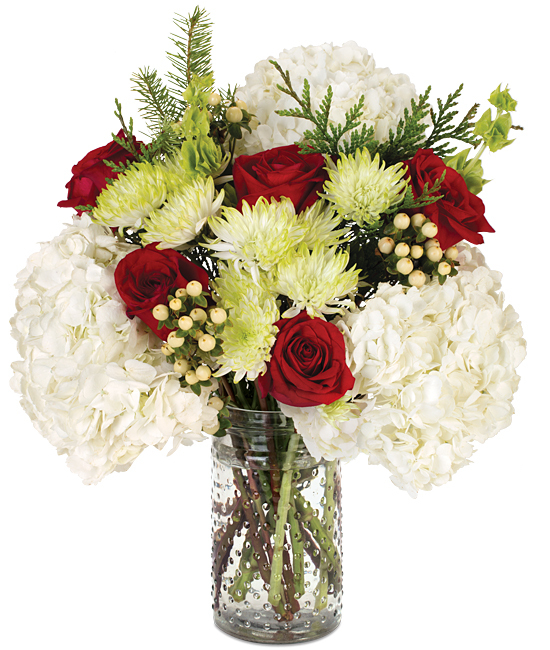 All come together to create the spirit of the season, much like this beautiful bouquet. 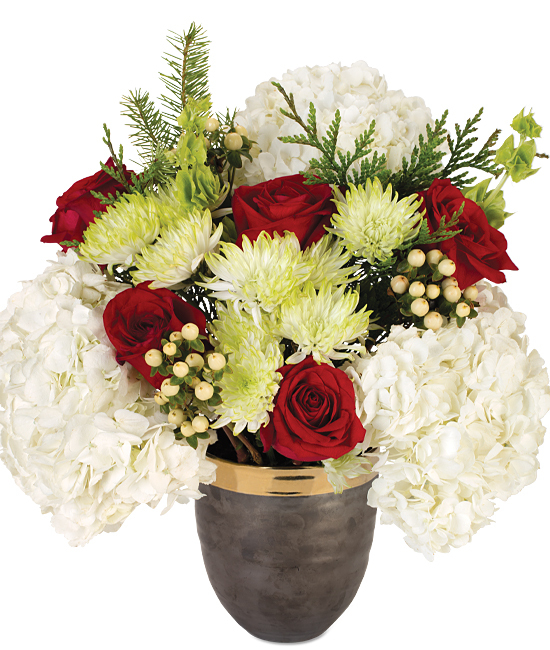 White hydrangea, red roses, hypericum berries, Bells of Ireland, and spider mums gather in a true Yuletide fashion, celebrating the season in our espresso vase accented with a golden brim.